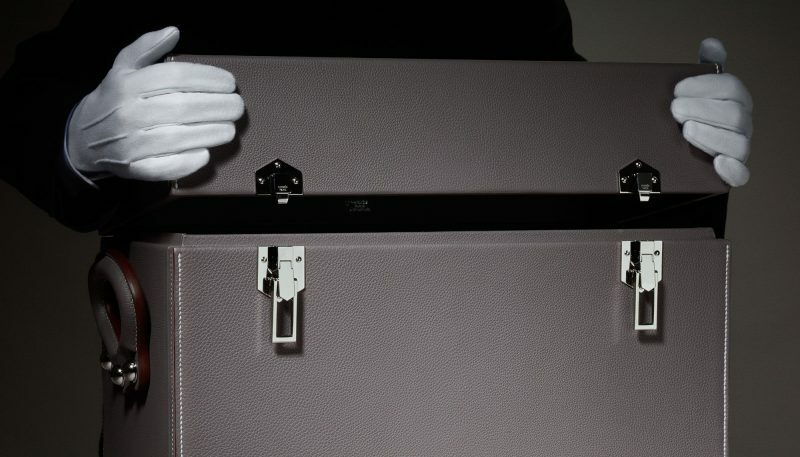 The bespoke trunk designed to hold the exclusive creation has been hand-stitched by Hermès using the finest leathers. 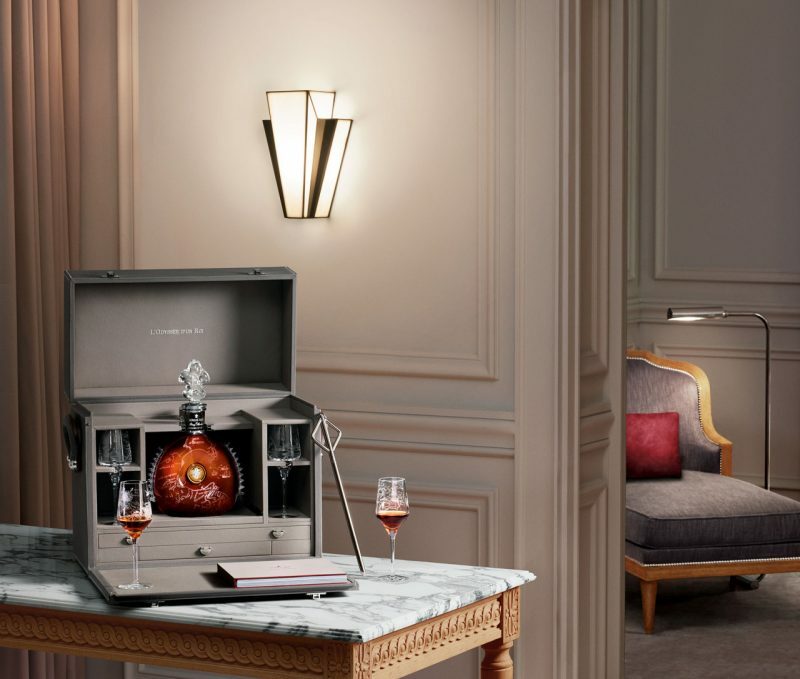 Modeled on a classic steamer trunk, the interior luxuriously holds the unique magnum decanter of Louis XIII. 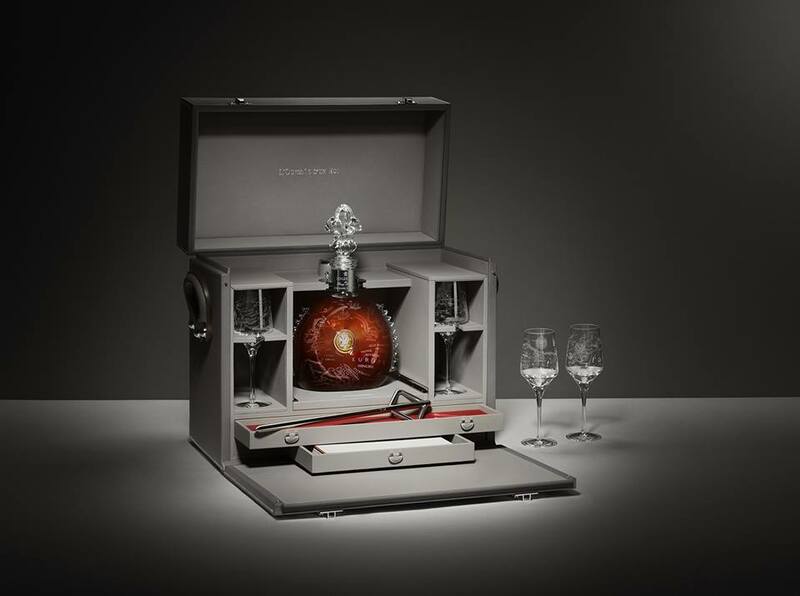 The engraved, white gold pipette of L’Odyssée d’Un Roi has been handmade by the Art Deco silversmith Puiforcat for the ritual of service. 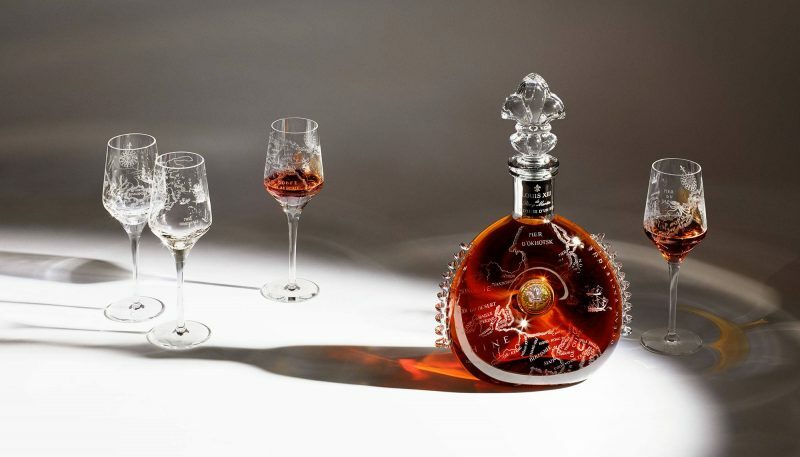 The special crystal decanter and its elegant matching serving glasses were mouth-blown, cut and engraved entirely by hand at the royal cristallerie Saint-Louis. 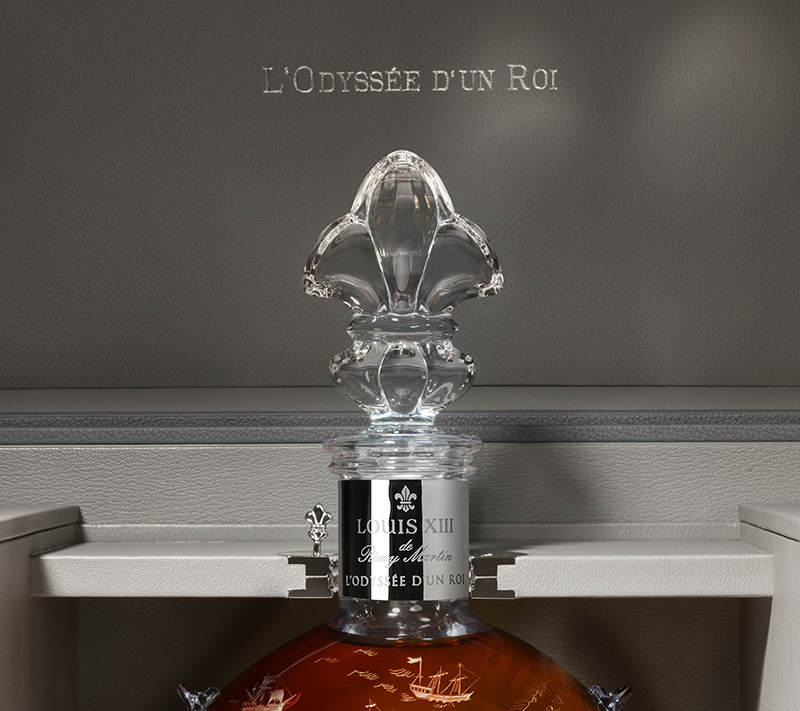 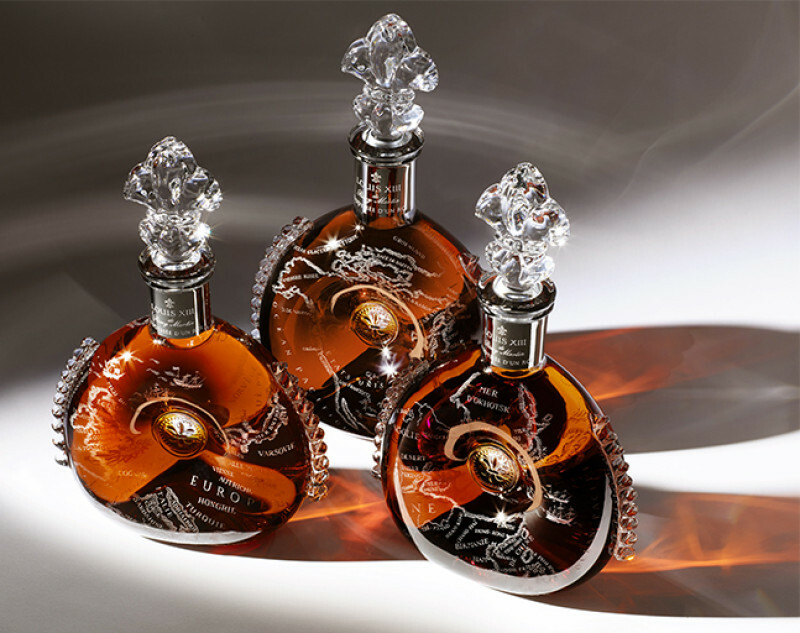 Sotheby’s will be auctioning all the three Louis XIII Unveils L’Odyssée d’Un Roi with proceeds benefiting The Film Foundation, a non- profit organization founded by Martin Scorsese and several other leading filmmakers to preserve and restore classic films, ensuring their survival for future generations.